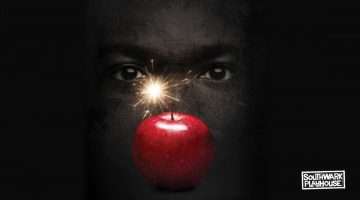 Headlong and the Royal Court's acclaimed production of crime thriller The Nether transfers to the Royal Court Theatre. Headlong and the Royal Court’s acclaimed production of crime thriller The Nether transfers to the Duke of York’s Theatre. Intricate crime drama and haunting thriller The Nether transfers into the West End following an acclaimed, sold-out run at the Royal Court Theatre this summer. Set in the year 2050, Jennifer Haley’s acclaimed and award-winning crime drama plays at the Duke of York’s Theatre for a strictly limited 12 week run. 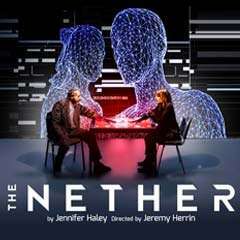 Directed by Headlong artistic director Jeremy Herrin, The Nether features extraordinary set designs by Es Devlin and video designs by Luke Halls. Costume is by Christina Cunningham, lighting by Paul Pyant, compositions by Nick Powell and sound by Ian Dickinson. The Nether features an acclaimed cast including David Calder and Amanda Hale, and is produced by Sonia Friedman Productions, Scott M Delman and Tulchin Bartner Productions. 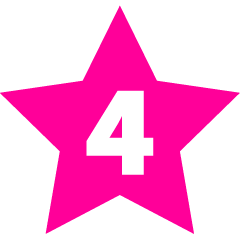 From 30 January to 25 April 2015. Winner of the 2012 Susan Smith Blackburn Prize, Ovation Award for Best Original Play and an L.A. Drama Critics Circle Award for Writing. Set in the future, in the year 2050, this compelling psychological crime drama follows an investigation into the complicated, disturbing morality of identity in the digital world. In the play “The Nether” offers complete freedom – a new virtual wonderland providing total sensory immersion. Just log in, choose an identity and indulge your every desire. But what of the shocking consequences of making dreams a reality? David Calder joins the West End cast of The Nether to play Doyle, alongside Amanda Hale as Morris, Ivanno Jeremiah as Woodnut and Stanley Townsend as Sims. The cast also includes Zoe Brough and Isabella Pappas who will alternate the role of Iris. Set designs are by Es Devlin, with costume designs by Christina Cunningham, lighting by Paul Pyant, compositions by Nick Powell, sound by Ian Dickinson and video design by Luke Halls. 16+. Contains adult content and language and scenes of a disturbing nature. Why book The Nether tickets with us?